← Has Christie Undermined Princeton Transportation Planning? Since about 1980, planners have recognized that compact, walkable development is the best way to foster livable towns, reduce car use, and protect green spaces. This way of planning is a self-conscious return to the layout of traditional towns- where stores, homes and workplaces are placed close together to minimize travel time between them. But this consensus has still not filtered through to the level of the Princeton Masterplan, and local resident groups regularly organize to oppose redevelopment involving compact walkable housing, such as that proposed at the old hospital site and at the 255 Nassau Street site. Princeton’s failure to add walkable housing has perverse consequences, as development is pushed onto farmland at the periphery of the region, and local employees drive long distances from their homes to work. The clearest example of this planning failure is the ongoing debate over new faculty housing at the Institute for Advanced Study. The Institute’s plan to build faculty housing on a seven-acre portion of their campus is being challenged by local non-profit the Princeton Battlefield Society, who contend that it would destroy a key part of the site where General Washington’s army scored a crucial victory against the British during the American Revolutionary War. The housing plan has been approved by the Princeton Regional Planning Board, and upheld by a County judge. But the Battlefield Society has appealed the ruling, so the debate continues. The Institute argues, quite reasonably, that its community of scholars requires nearby housing, and that such housing is not available in a neighborhood where properties are limited and have become incredibly expensive. 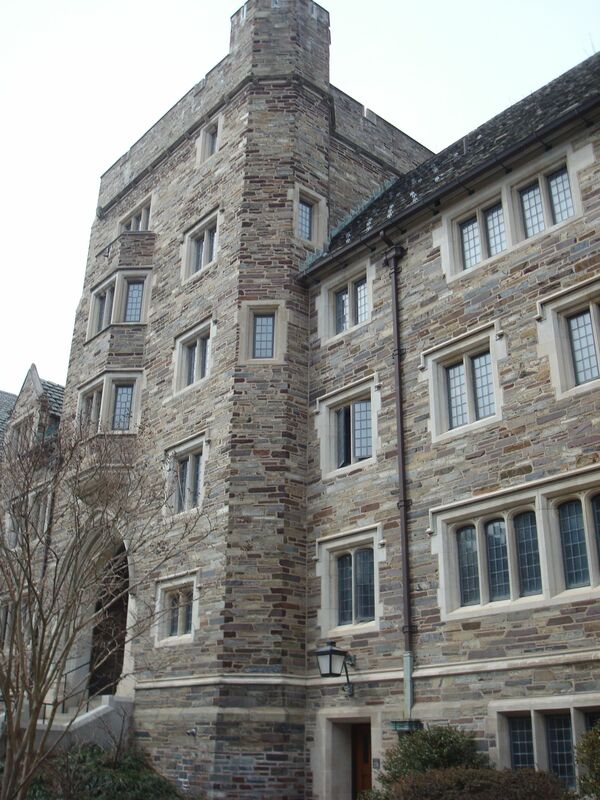 The Institute controversy is a microcosm of the housing and planning conundrum facing Princeton. Housing is desperately needed, but residents don’t want it, fearing increased traffic and a ‘change in the character’ of the town. As a consequence, we haven’t built anywhere near enough new housing, and almost all the people who work in Princeton have to drive in from surrounding townships. Meanwhile the character of the town has changed, because the lack of housing has forced out the middle class, and led to a crushing increase in traffic. Elected officials waffle about how the answer lies in improved transit- even though a survey of candidates for last year’s election to Princeton Council revealed a firm bipartisan consensus against any new tax spending on transit. It’s not clear where the Battlefield Society think Institute faculty members ought to live. If the new housing is not constructed in the proposed location, Institute faculty members will presumably be forced to seek housing elsewhere, probably in Plainsboro or apartment communities on Route 1. This is, in fact, the very choice selected by Princeton University, which has committed to not providing housing for all graduate students who need it. The result is a diminished academic community, as scholars are dispersed; and increased car use, as students and faculty members are forced to drive to get to classes and symposia. One potential solution would be for the Institute to build more housing at its existing sites. Many Institute faculty members currently live in a ramshackle collection of one/two-level apartments off Springdale Road (see photo above). Although these buildings provide housing that is walkable to the Institute, they offer- even accounting for taste -absolutely zero in terms of architectural value. 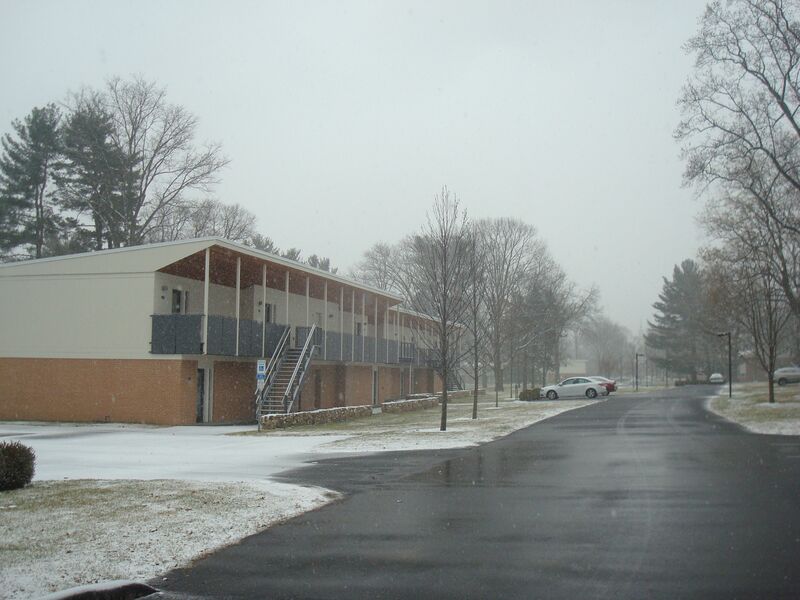 Phased replacement of these structures with housing up to five or six levels, as used at Princeton University’s Whitman College, would improve the built environment, increase faculty housing options and avert the need for development of green space adjacent to the Battlefield. And it wouldn’t cost taxpayers a penny. Yet such increased density is prohibited by Princeton’s archaic zoning, and would likely be forcefully opposed by nearby residents. The opposition to density therefore results in loss of green space, in a town which purports to be committed to sustainability. This example is just the most egregious of Princeton’s ongoing failure to get on board with Smart Growth practices that have been standard in other green communities for decades. Princeton is solidly in favor of the preservation of green spaces, but this preservation effort is futile without simultaneous upzoning of walkable sites. We can’t regulate development away- we can only push it to areas which require increased driving. And although the Battlefield jumps out as a clear example of green space we want to protect, every green space is precious, and every time we push for lower density, we also ensure that more precious green space is destroyed. If you agree with this, please copy the link and email it to a friend. If you can see some reason why it doesn’t make sense, please write why in the comments section below- specifying where you think Institute faculty should live. Let’s make 2014 the year when Princeton wises up to the burning need for sustainable planning, and stop sticking our heads in the sand and pretending that the need for housing will somehow go away. This entry was posted in Density, Princeton, Smart Growth, Sustainability, Traffic, Transit, Zoning and tagged Institute for Advanced Study, Princeton, smart growth, Zoning. Bookmark the permalink.